Jane McCallum is a Registered Nurse trained at Guy's Hospital, London. You are invited to contact us if you have concerns about your veins. Advice is offered and questions answered without obligation. Jane and Mr Chalmers hold periodic open days at the Spire Murrayfield at which they talk about the treatments. Visit the Spire Murrayfield website and select Information Events to find out the date of the next open day. 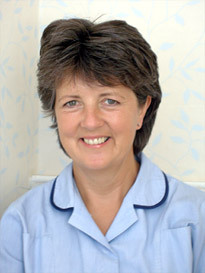 Jane McCallum is a Registered Nurse trained at Guy's Hospital, London. She works as a practice nurse as well as running The Leg Clinic. Jane is trained in microsclerotherapy. She has experience in many other areas of nursing.